Made from durable and crystal clear acrylic glass, the Jellyfish Aquarium comes with all the necessary components such as air pump, pipette, activated charcoal, nitrifying bacteria starter and hydrometer. Thus, as it equipped with all the essential accessories, the user just need to add water. 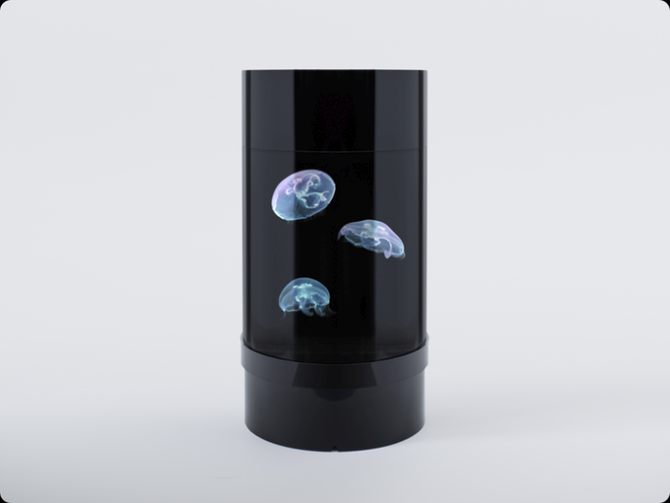 The Jellyfish tank features an accessible hidden compartment with integrated mechanical, chemical and biological filtration that makes it simple to operate and easy to clean. As Jellyfish are very vulnerable even to a slight change in temperature, the aquarium is powered by a silent air pump that oxygenates the water without heating it. It also comes with an LED light whose color can be changed by the user according to his mood with a click of a remote control button. 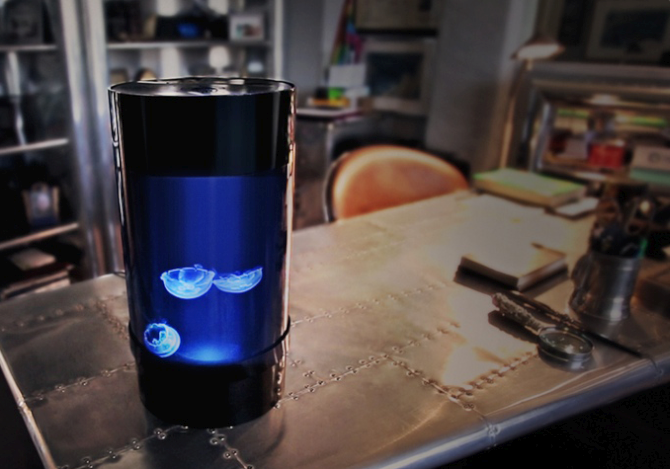 The Jellyfish Cylinder Nano aquarium by Jellyfish Art is currently raising funds on Kickstarter where it has successfully crossed the $50,000 funding goal quite comfortably. 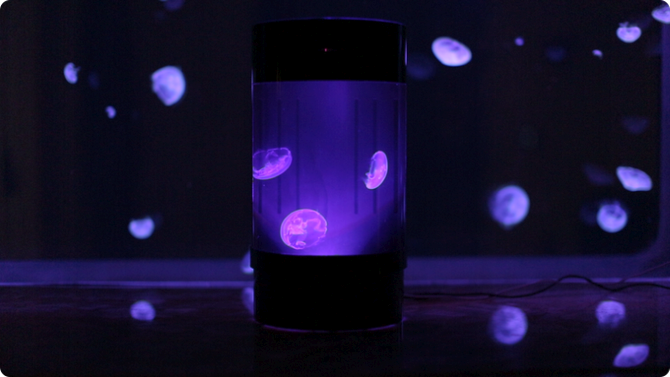 For a pledge of $150, you can order a Tank Kit for yourself without the Jellyfish. Well, investing $250 will get you a tank kit along with 3 jellies, food and express shipping. 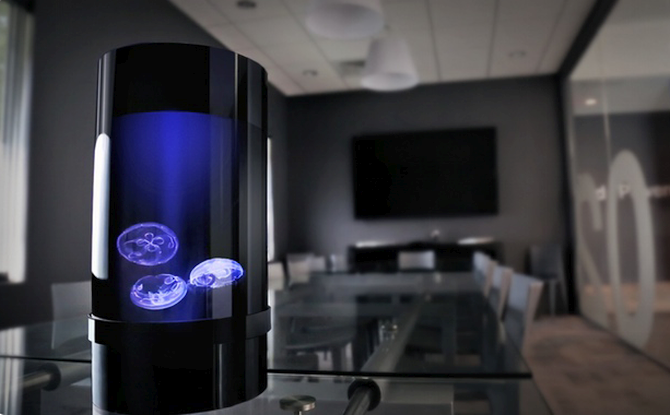 The Jellyfish Aquariums will get delivered by April 2016.